The Lifeboat buggy plays an extremely important role at this Lifeboat station. It is without doubt one of the many features that is unique to Southend RNLI. How many other stations have two boats that are already over 1 mile out to sea before the pagers have even gone off? Make no bones about it, without this means of getting crew down to the end of the pier, at any time of day or night safely, our service could be severely compromised. We have two buggies and each can carry 6 crew and it’ll get them to the end of the Pier inside 6 minutes. In that time radio contact can be made with the Coastguard and the ‘Shout’ can be planned en route. Try doing that on a bike! They carry a First Aid kit, a buoyancy aid and a set of binoculars and often a casualty is spotted by the crew as they travel along the walk way in the Buggy. When a Buggy is travelling along the Pier it can come of something of a surprise to members of the public who maybe enjoying a walk along the Pier, enjoying the peace and quiet. So when you hear our two-tone horns and see our blue flashing lights as we storm towards the pierhead at warp factor 6mph, be sure it is only because we want to give you fair warning that we are coming along behind you. If you can get your party to stand aside (choose the same side for everyone) you will be helping us get the Lifeboat away just that little bit quicker and who’s to know how valuable that simple effort may prove to be. In fact the reverse journey could be just as important if you ever see a Buggy travelling from the South to the North back to land, please be vigilant. Often in cases where casualties have been bought back to the station by the Lifeboat, the most appropriate means of getting them back to shore, whether that be for treatment by paramedics, or to be reunited with family, is to get them in the buggy and driven down the Pier. Again, if there is a medical situation going on, we will be in a hurry so once again, any early consideration by the public to clear the way will be very much appreciated. We may not be in a position to launch our two-tone necessarily. In fact, I am reliably informed that during trials of the first buggy in the early 90’s, a member of public was taken ill on the walkway and transferred via the buggy to an ambulance that was duly hailed. It transpired that the chap had suffered a heart attack and this was surely a sign of how useful the Buggies were to become. 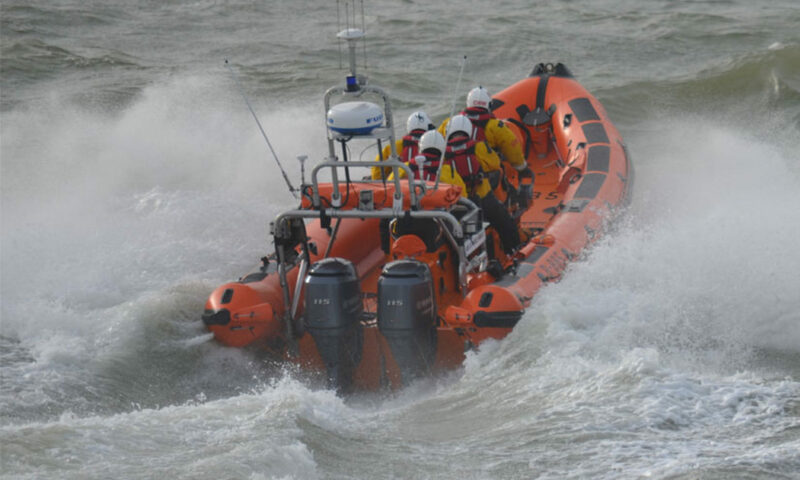 Even though it may not be the most glamourous machine we have at our disposal, it, nevertheless, plays an intrinsic part in the running of our Lifeboat station and we would be stuck without it.